On iTunes: http://itunes.apple.com/gb/album/love-is-drug-todd-terje-disco/id498787436 On BEATPORT: http://www.beatport.com/release/love-is-the-drug-todd-terje-disco-dub/863889 On VINYL: http://www.vfeditions.com/product/view/47 Following on from a series of hugely popular 12" remixes of Bryan Ferry tracks in 2011 comes an exclusive Roxy Music remix 12" vinyl. 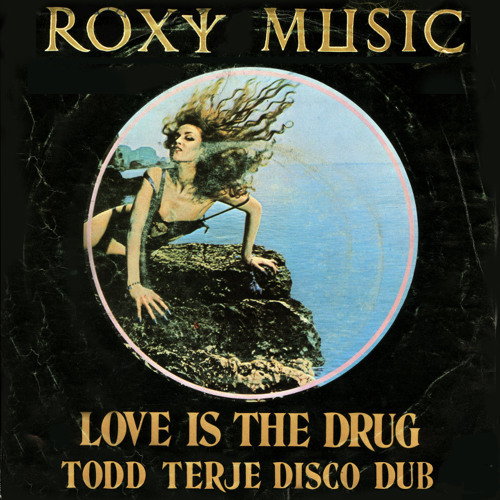 Featuring an absolutely essential, epic remix by man-of-the-moment Todd Terje, whose edit of Roxy's "Love Is The Drug" gives the evergreen club classic a contemporary twist and is a must-have for anyone who snapped up his remix of Bryan Ferry's "Alphaville". On the flipside is a psychedelic, hypnotic, Balearic-style reworking of Roxy's "Avalon", by Norwegian dub-disco doyens Lindstrom and Prins Thomas. Hand crafted by The Vinyl Factory on 180-gram heavweight vinyl, the 12" features exclusive cover, inner sleeve and label artwork based on the iconic originals. You're on the edge. babe! Swell! I must send you my version!